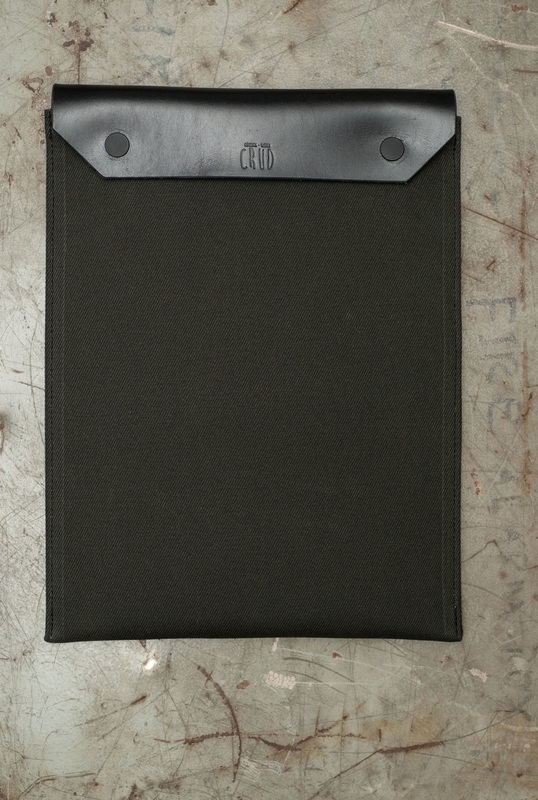 A simple, functional design and materials of the highest quality is something that we incorporate in every piece of gear in our line, and the Ottem Laptop case is no exception. 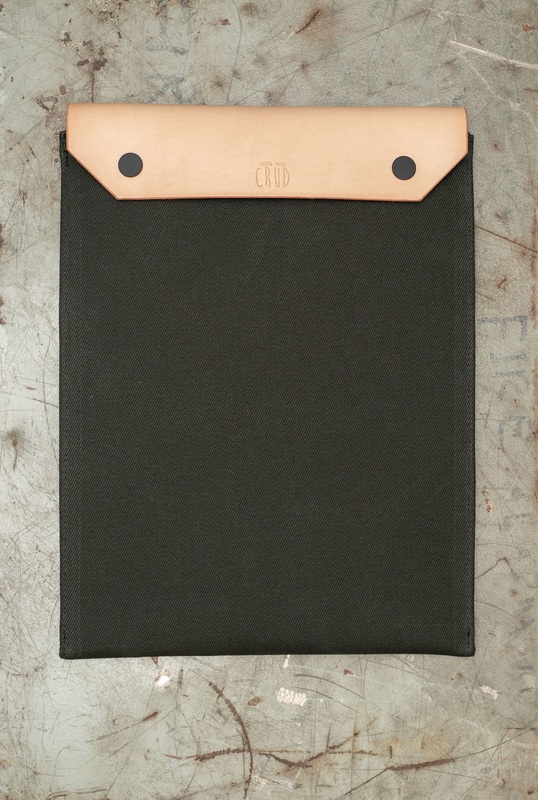 Our laptop case is made from 18oz dry finished Hybrid Twill Canvas and equipped with a foldable hand cut leather lid from the finest vegetable tanned leather. To keep it really slick we have added a pair of customized, flat surfaced snap buttons with a durable matte black finish. 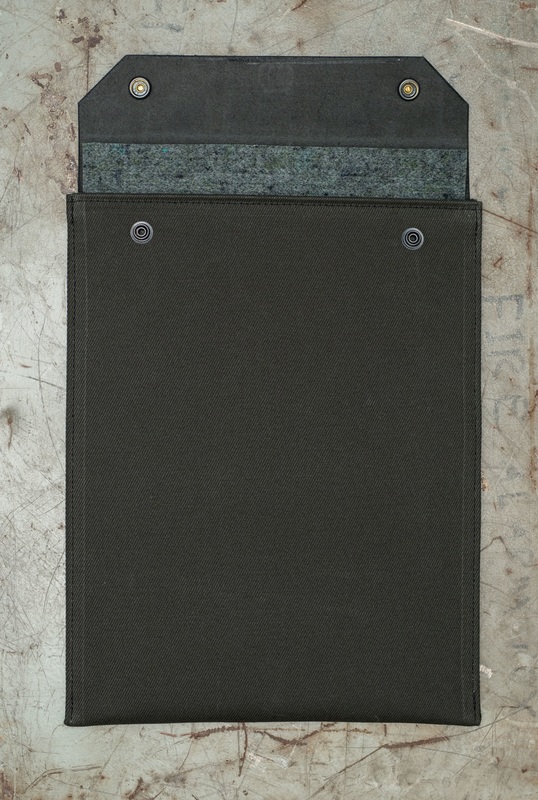 Each case has a thick wool padded interior to protect your laptop or tablet from impacts. 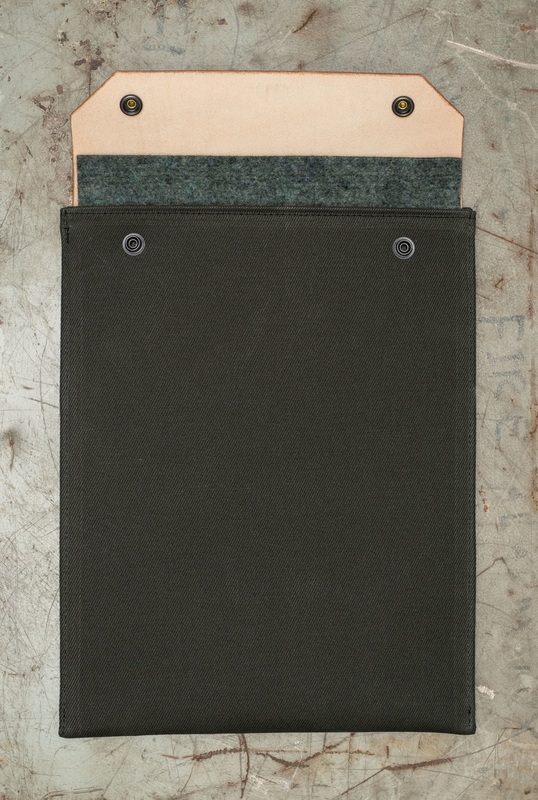 You will also notice that the wool padding extends slightly on the top of the case to protect the side of the computer when the leather lid is closed.